Where dreams begin..... and come true! Fully qualified, experienced teachers, will guide your little dancer through their performing arts journey from Tiny Dancers to achieving their professional goals. 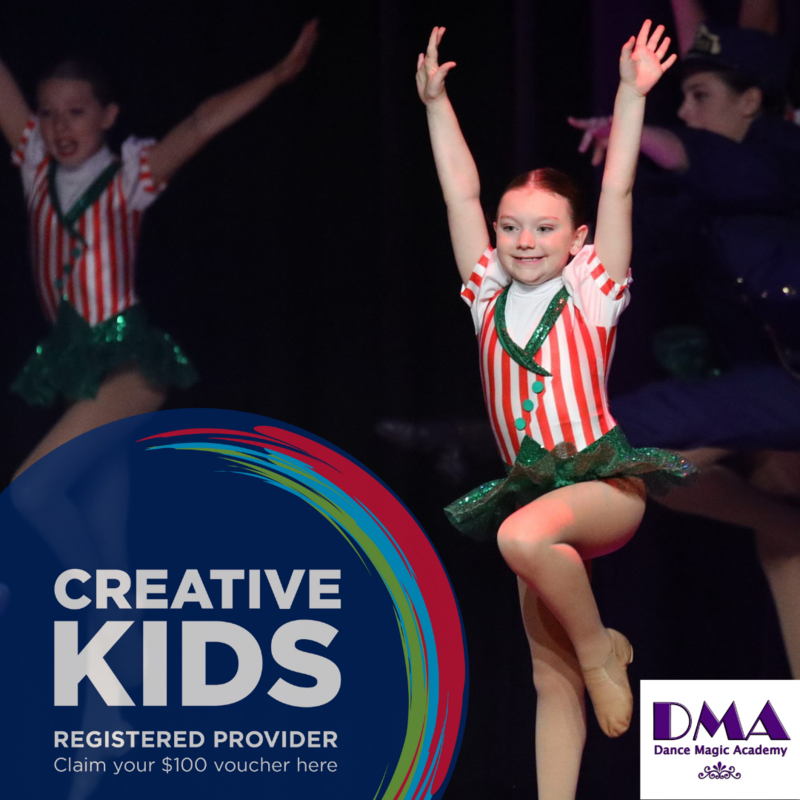 Claim your $100 Creative Kids and $100 Active Kids Vouchers today. See Dance Magic Academy performers rehearsing behind the scenes to bring you the ultimate Christmas Spectacular. We specialise in Tiny Tots from 18mths! TINY DANCERS was created especially for your little prince or princess, introducing imaginative dance movement with a ballet and jazz influenced foundation. Tuesday and Saturday classes available, parents are welcomed into the dance studio. 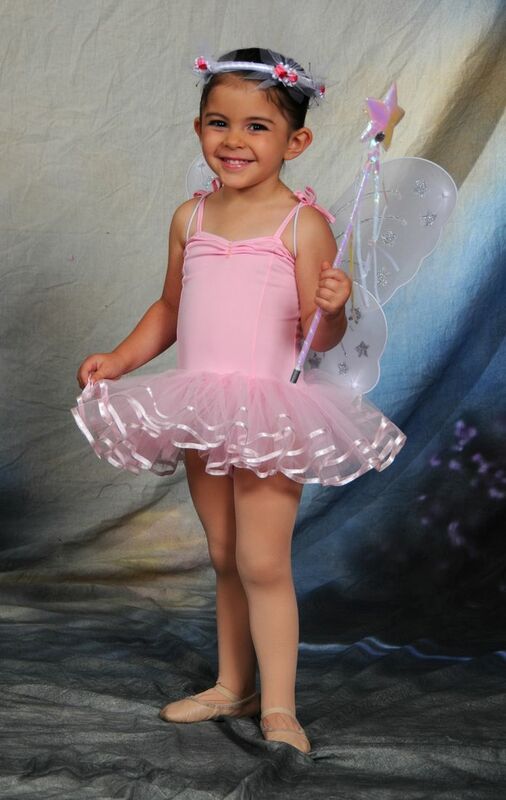 Tiny Dancers, Kinder Dance, Acrodance, Hip Hop Minis are all available for our Little Stars! 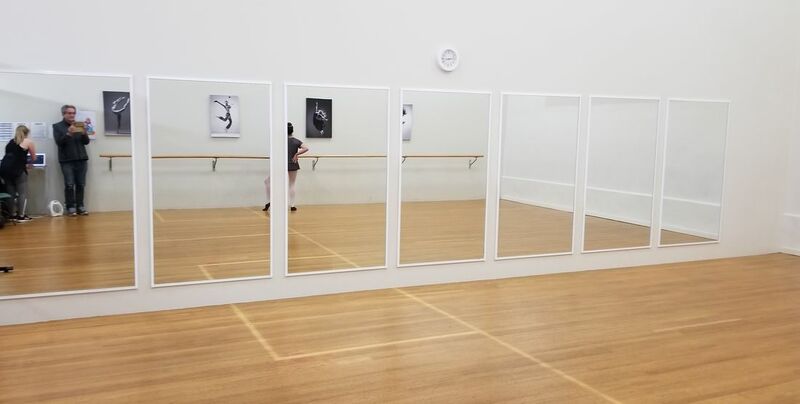 Email info@dancemagicacademy.com.au or Phone us today 0439 966 667, to ask about enrolling in 2019 Classes. Dance Magic Academy specialise in Tiny Tots, with Tiny Dancers, Kinder Dance, Hip Hop Minis and Acrodance classes available. 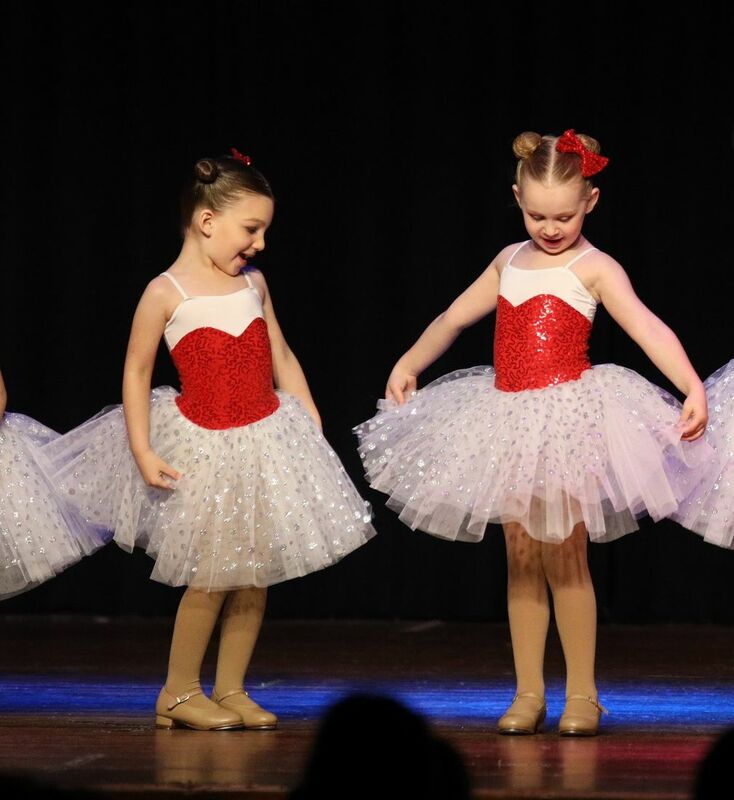 Offering a friendly, family oriented environment with high quality affordable dance education, Dance Magic Academy is one of Macarthur areas most acclaimed Dance Academies. Young dancers are introduced to sound technical training while discovering the true joy and fun of dance as they participate in creative, energetic and inspiring lessons. Introducing our uniquely created Tiny Dancers classes, for students aged from 18mths to 5yrs, which are heaps of fun for little ones, as they learn co-ordination, improve gross and fine motor skills, key dance moves, confidence and develop their sense of rhythm. Parents are encouraged to join in along with the children during the Tiny Dancers classes and everyone has a great time clapping at the end of each exercise, full of encouragement and very entertaining. If you are unsure what are the best class choices, we are only too happy to advise and help you select a class schedule to suit your individual needs. Remember that each student will develop at their own rate and our Teaching Staff at DMA are very careful when recommending the correct and most suitable class for students. We believe that every dancer is unique and we cater to the specific requirements for each student. Tiny Tots on stage sharing the joy of dance! We pride ourselves on having the best Adult Dance classes in Sydney with a large selection of classes for a variety of technical abilities. Choose from Beginners through to more Advanced Levels. Weekly and Casual Rates are available. Students of all ages and abilities are welcomed at Dance Magic Academy. It is never too late to learn to dance. The most important thing a teacher can do, is to have a positive effect on others and inspire people to believe in themselves. 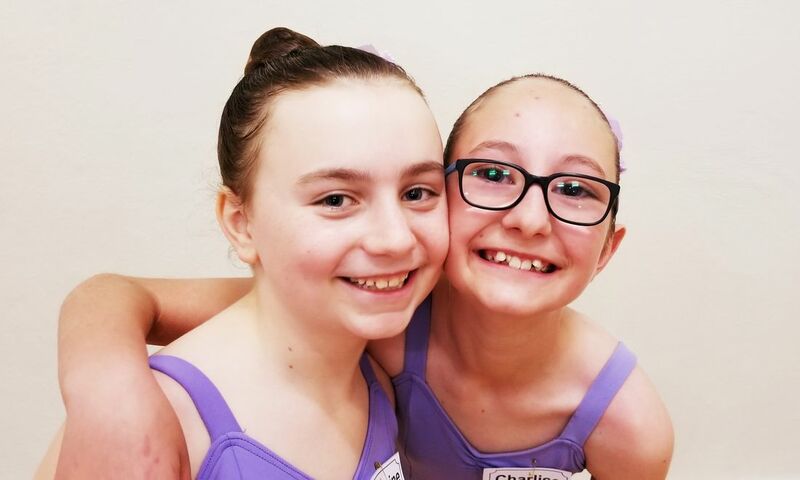 At Dance Magic Academy, students are nurtured and encouraged to enjoy themselves with the additional benefits of developing lasting friendships and improving their fitness and posture. Dance is such a wonderful and rewarding experience. At Dance Magic Academy, our focus is providing a warm and encouraging environment and quality classes with experienced, fully qualified teachers. Our staff are committed to offering the very best dance training for students of all abilities. We are passionate about introducing students to a sound technical grounding while imparting the true joy and fun of dance. With a large selection of classes available, for the absolute beginner through to the advanced student, there is sure to be something to suit everyone. Classes include; Tap, Ballet, Jazz, Hip Hop, Contemporary, Stretch & Strengthen, National Character, Acrodance, Musical Theatre plus all your favourite Tiny Tots and Adult classes. People, from children to adults, love to move and dance to music and should be offered the opportunity to express themselves in a supportive and fun environment. Dancing helps to build self confidence, improve co-ordination and explore the endless possibilities of combining movement and music. Parents love Dance Magic Academy too, as they are welcome to watch all dance lessons conducted in Studio 1 and Studio 2, and in the case of our Tiny Dancers are encouraged to join in the excitement and fun of dance alongside their young children. Parents can watch their children through the glass partitions in the Waiting Areas and younger siblings can even take advantage of the enclosed outdoor play area. 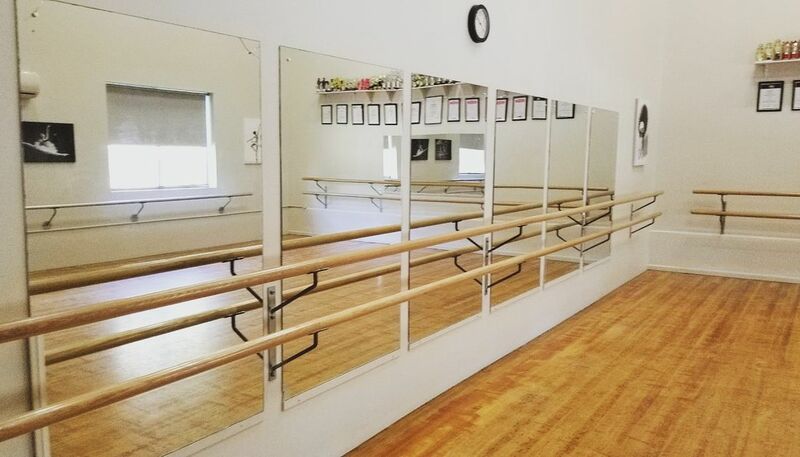 Whether a child wants to spin and leap in a Ballet lesson, learn the latest funky move in Hip Hop dance or an adult beginner wants to learn to Tap Dance, Dance Magic Academy is the place to be.